It’s summer time! The best time of the year to enjoy outdoors! 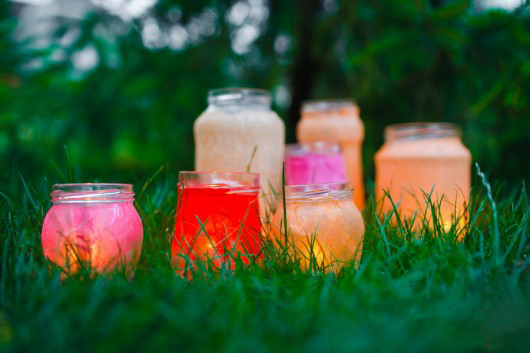 A summer picnic on the lawn, at the beach or in the park is the perfect opportunity to escape the city rush and enjoy an outdoor meal with friends and family. 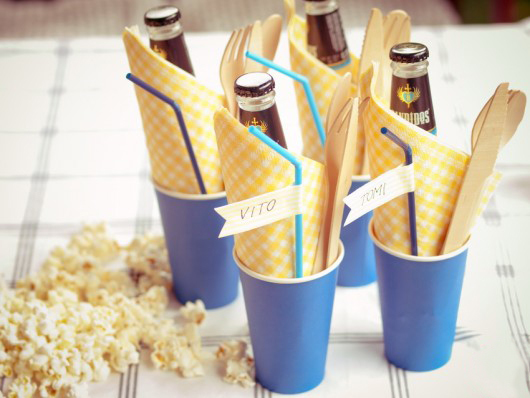 We have for you the perfect summer picnic ideas, if you are hosting an outdoor picnic with friends. It’s hard to cook food for a crowd at home and it’s get harder when you are somewhere outside. 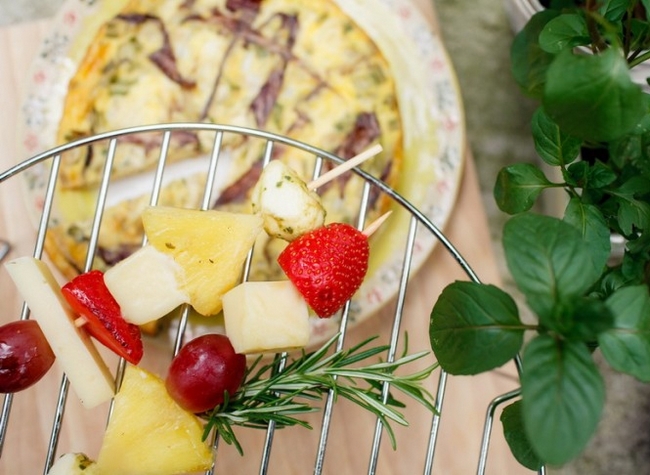 The picnic food should be simple, easily stored and served. 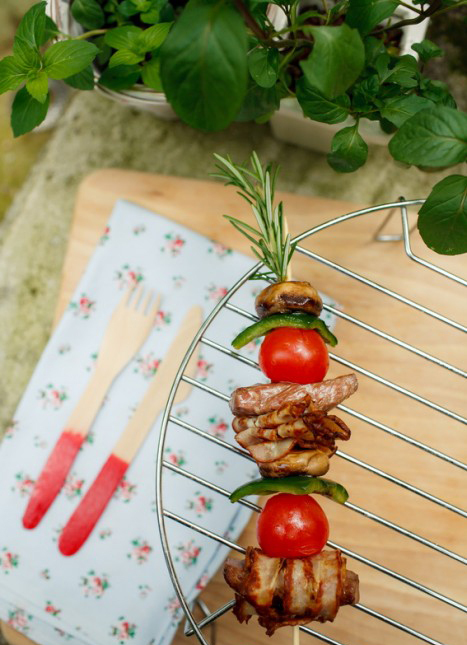 Think of something that would be fuss-free and easy to eat, while balancing a plastic plate on your lap… grilled skewers, of course! 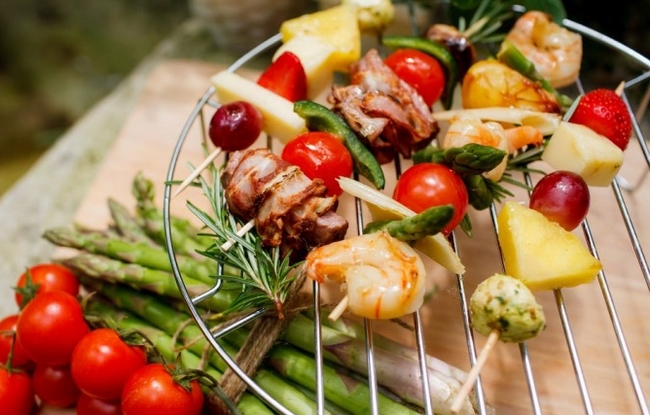 The BBQ is inevitable part of summer picnics and anything served on a stick is fun. 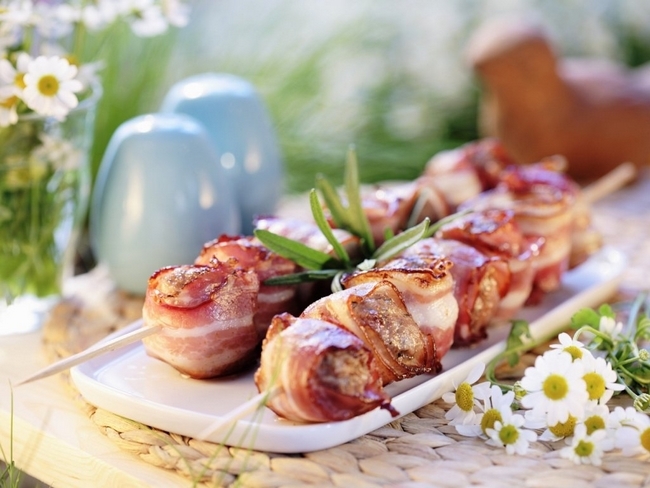 We are going to present you 3 ideas for a bit different skewers. Cut all components in bite-size and thread them onto wooden skewers. Soak them first in warm water for at least 20 minutes. This will keep them from burning on the grill. 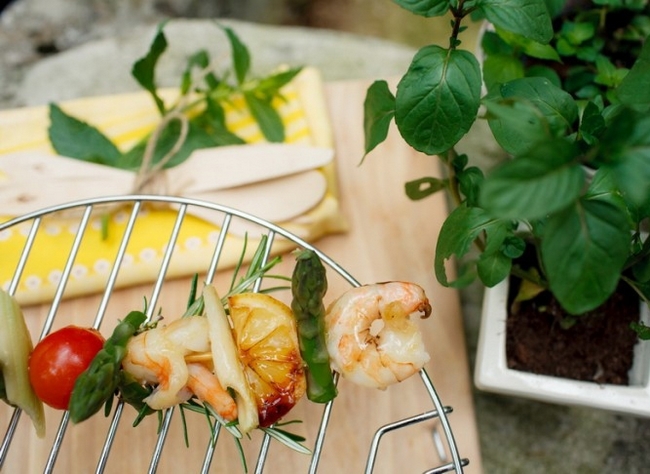 Sprinkle with salt and pepper, add a sprig of fresh rosemary and grill with olive oil. Due to concerns with the picnic food and other preparations it could happen to forget about the small details. The food is not always in the center of attention of these joyful gatherings. 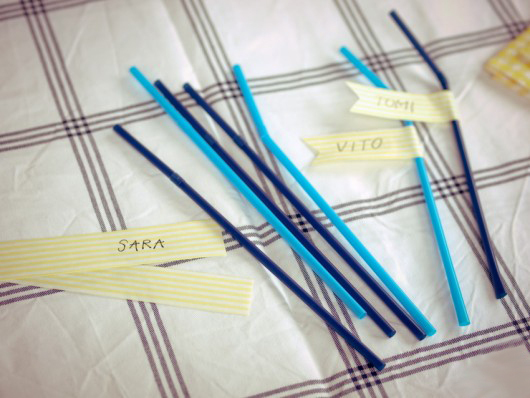 Between the conversations or games your guests could accidentally confuse their cups. 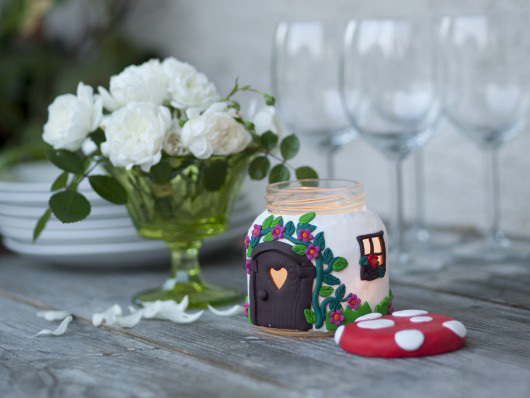 Here is a quick idea for a picnic decoration that would be also very helpful. Cups will be marked with cheerful flags. 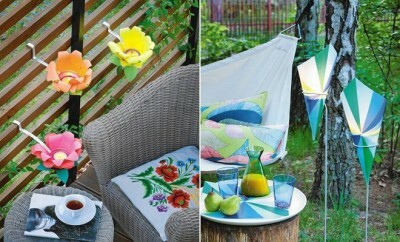 Select two contrasting colors like blue and yellow. 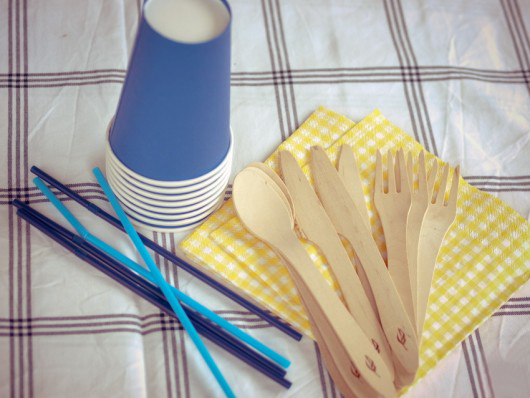 Here we have blue cups and straws, yellow napkins and disposable wood cutlery. 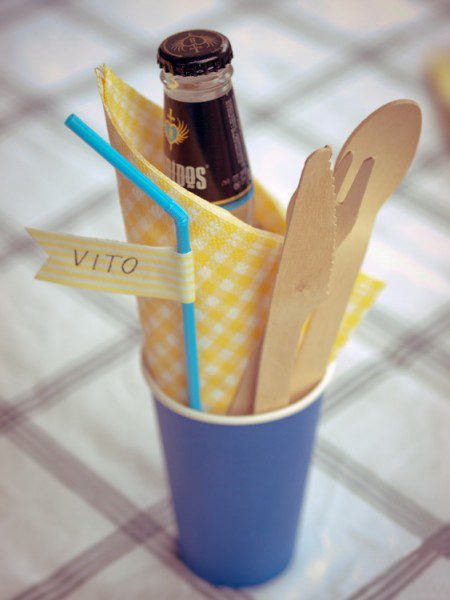 Welcome each guest with their own set: bottles wrapped in napkins accompanied by wooden cutlery and a straw with their name. Put everything together in a cup. After dark, light candles. 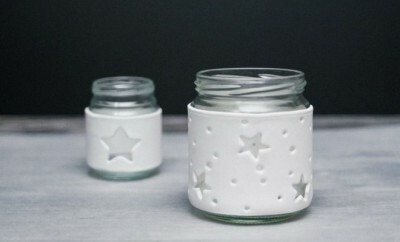 Put them in glass jars, decorated with rice paper in pink and orange shades. 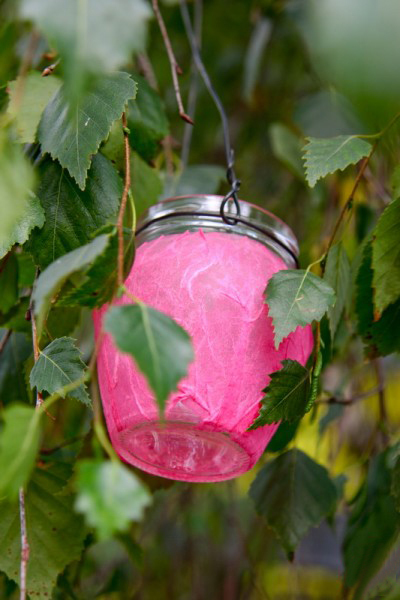 You can either lay the lanterns in the grass or hang them on a tree.